In December 2014. Next week, a Vietnamese will join our company HDE, Inc. as a new graduate programmer. Two and half years ago, June 2012. As I was enjoying drinking with friends at a bar in Shibuya, Tokyo, I got carried away to join a summer event tour in Thailand, Vietnam, and Indonesia. Let’s go to Asia! Cheers! That’s how it was. At that time, there were only Japanese staffs in our office and there were only a few foreign customers. So we were in a situation to do the business in domestic market. At first, I intended to take a look around at my expense taking a vacation, but my company allowed me to go there at the company's expense. so it turned to be my first overseas business trip. Following is the schedule of that trip. it was a little hard! As I did not know well the location of each country, I organized online map before the trip. In the middle of the tour, while we were staying at HCMC, I introduced myself to a Japanese student at Hitotsubashi University who was going to pitch in the event. By coincidence, I found that he knew our CTO/CEO. Then I was told that a Vietnamese student who was studying at Singapore National University was looking for an internship in Tokyo and asked if I was interested in accepting him. After returning to japan, I talked about it with my colleagues, and we decided to accept him as an intern. "Do it now! " I asked the Japanese student to contact with the Vietnamese immediately and all the departments in our company were required to cooperate with each other. Then, "the internship to foreigners" was set up which resulted in the beginning of the present "HDE Global Internship Program". Thanks for the relationship between people, through the introduction by various people, such as our adviser, AIESEC, and even my colleague's badminton friend, many foreign interns from different countries came to our company. The internship students came here since when its started last year to now are below. Now 6 members have already decided to come for our internship program in the next year. The conditions decided when it was started are as follows. 2. HDE pays the expenses for staying and air fare. 3. The interns must have good English communication skills. 4. They do not have to understand Japanese (It is better that they do not understand it as they speak in Japanase if they understand it). 5. The period of the intern is 2 to 3 months. 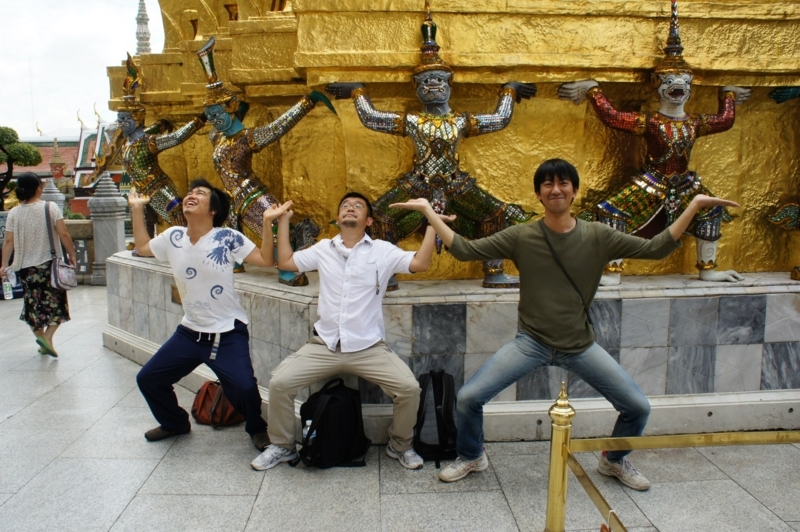 In December 2012, a month before the first foreign internship student is arriving, a long name team called “Global Internship Program Project Team” was formed. In the office, both the project team and the internship program were called GIP. The initial member consisted of CTO/CEO, a few from engineer and back office, and me. At first the main subjects were about consulting time/sharing time regarding the first foreign internship student then soon we started discussing English training program such as selection process for sent to "Cebu-Okuri" (sending staff to Cebu). A year ago from now, the GIP project team is going to be accelerated, and its name was changed to "Globalization Project Team (GP Team)" in February 2014. In addition to carrying out the internship, "increasing the understanding and adaptability to the global market in the whole company" is specified in the goal. Our company also must prepare an environment and training of English. What I want to emphasize about English is that I have hardly used English both at private life and work. In the whole company, only a few employees are good at it whereas most are not good at it. Under such circumstance, one of our English training programs is "Cebu-Okuri" (sending staff to Cebu). From December 2013, GIP has sent employees chosen based on the original criteria to the English conversation school in Cebu for 4 weeks. The memorable first person was Kenichi Minoura, a core member of GIP and a manager of business development. Seven employees have been sent until now. From April 2014, the company covers tuitions for two Skype English conversation programs including the service of this school. More than 90% of employees use this system, studying every day. I also take lesson(s) almost every day! Since I have been in charge of hiring of new graduates in the past, I have experienced hiring, especially Geek students, has been difficult every year because of various reasons. Currently, we flexibly conduct recruitment aside from normal recruitment activity. For example, for global interns who are assessed as having aptitudes and qualifications, we have an interview and offer a job conform to the graduate recruitment. As I said in the beginning, An-san, a Vietnamese geek whom we could meet by this route will finally enter our company next week. Some weeks ago, Sunny-san, a Taiwanese who has MBA (a Taiwanese from Taiwan) joined a CEO Office / GP team that I supervise (She joined our company by a connection made from an office tour for foreign students that was planned by the member of the GP team). She has been involved in the activity above. Finally our company has increased the customers from abroad. What is special about is that from the latter half of this year, a person in charge of the business development and support as well as a director has gone to North America and Southeast Asia on business frequently. By looking at a flow in the future, we started to discuss and try that a global internship for humanity courses should also be increased from the next year. HDE has an office only in Tokyo as a head quarter now. However, in the near future, we will be more diversified by establishing offices abroad and carrying out the sales and marketing. Let me advertise a little! HDE GIP!